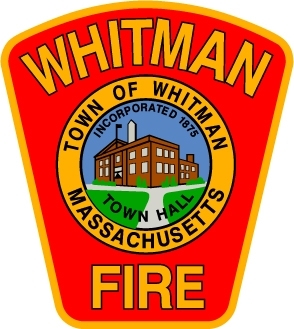 WHITMAN — With the holiday season upon us, Fire Chief Timothy J. Grenno and the Whitman Fire Department would like to remind residents to use caution when decorating their homes this month. For more information on Christmas tree safety tips, visit the National Fire Protection Association website or contact the Whitman Fire Department at 781-447-7626. BURLINGTON — With the holiday season in full swing, Police Chief Michael Kent and Fire Chief Steven Yetman would like to provide residents with several important decorating safety tips to best ensure that everyone enjoys this time of year. According to the National Fire Protection Association, electrical distribution or lighting equipment was involved in two out of every five Christmas tree fires in homes. Additionally, the top four days for home candle fires were New Year’s Day, Christmas, New Year’s Eve and Christmas Eve. Water fresh Christmas trees daily, and keep them away from heaters, fireplaces and candles. Turn off holiday lights when you leave the house or go to bed. Always blow out candles before leaving a room or going to sleep. Be sure to burn candles inside a 1-foot “circle of safety,” free of anything that can catch fire. Never leave food that’s cooking unattended, and keep a timer with you when baking. If a pan catches fire, put a lid on it to smother the flames and turn off the heat. Keep space heaters at least 3 feet away from anything that can burn, like curtains, upholstery or holiday decorations. Develop and practice a home fire escape plan with at least two ways out and a meeting place outdoors. In the event of a fire, get out and stay out of the house and call 911. Make sure all smoke alarms and carbon monoxide alarms are working. Consider placing a battery operated smoke detector right inside your tree. Use caution with extension cords. Don’t overload them and never put cords underneath rugs, as this can damage the cord and cause an electrical fire. If you or anyone in your family smokes, do so outside with a proper ashtray to dispose of cigarettes. For more information on holiday safety tips, visit the Massachusetts Department of Fire Services’ website or contact the Burlington Police Department at 781-272-1212 or Burlington Fire Department at 781-272-2211.